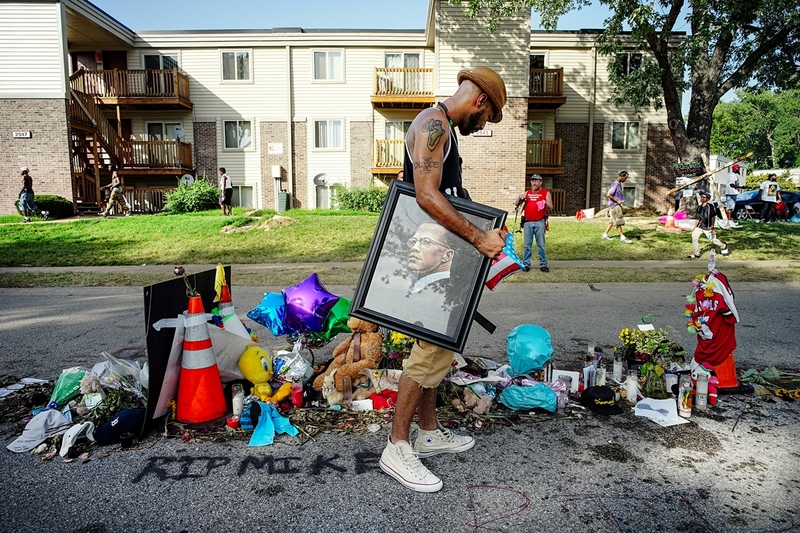 "Who is our Black Leader"
I watched this young man walk up to the make shift shrine where Michael Brown was killed, with a portrait of Malcolm X tucked under his arm. In the midst of a dying fire, it suddenly occurred to me that this portrait was the most I had seen of a black leader since I began walking that stretch of road. My heart has yet to resolve what I saw in Ferguson Missouri. I do not understand why the whole of America did not stop what they were doing and rise up to ensure that another young black youth does not lose their life so easily by the guns of unfeeling police officers. So today I will ask a question instead of my usual conjecture. Where is the Black leadership of this country?